Cup Day and no work? In some ways a mixed blessing, but an opportunity for fun nonetheless. So off we tootle to Carlton for some book work. Within minutes of arriving at Alice’s Bookshop on Rathdowne Street we have scored big time – a first taste of Elmore Leonard for Bennie, the hefty bio of J Edgar Hoover I had been on the very verge of ordering much more expensively just a few days previous. Then it’s off to Lygon Street to survey the lunch options. Down one side and up the other, I opine to Bennie that in terms of mediocrity, a Lygon wander is quite similar to doing likewise Bourbon Street in New Orleans. 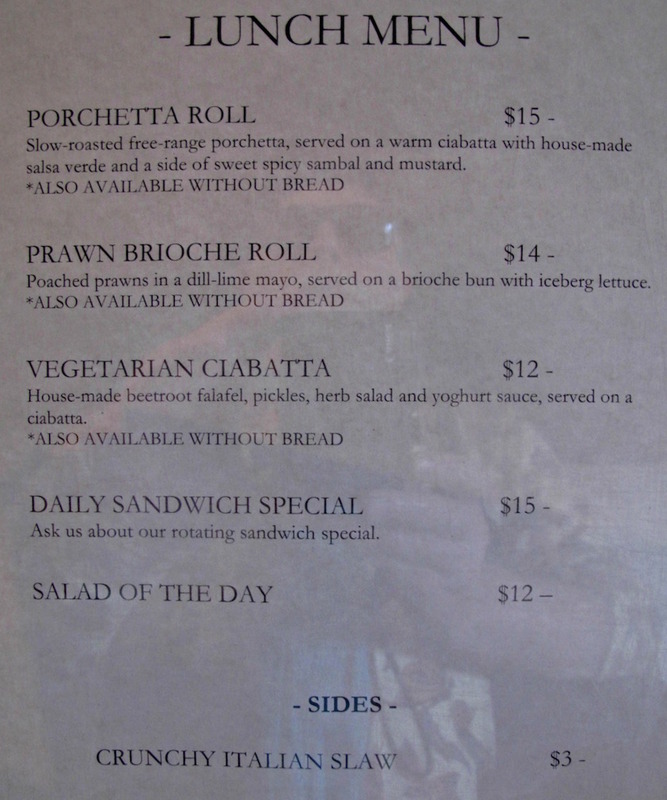 But there are good places – Heart Attack and Vine is one such, it’s specialty a range of simple Italian-style sandwiches (see menu below). The staff are in the midst of the breakfast/lunch switch as we arrive, so it takes a little while to get our lunch – but when it arrives we are happy. 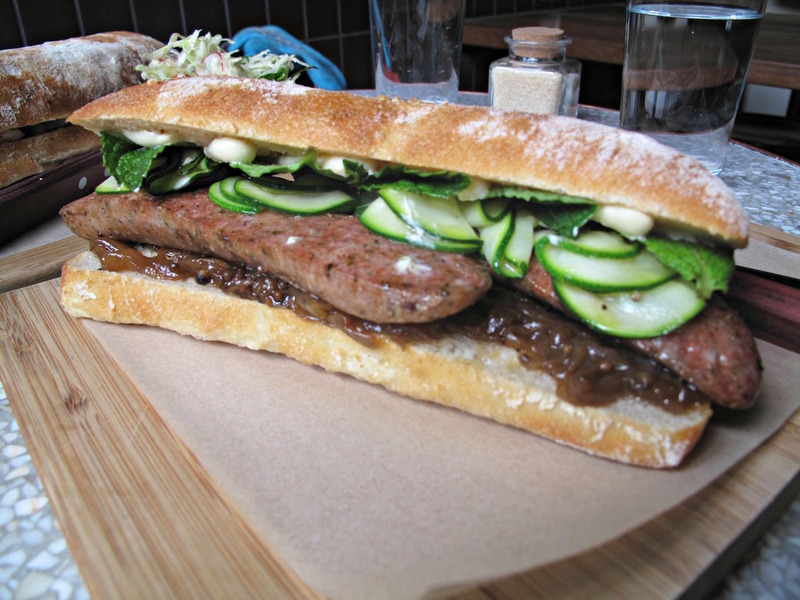 The day’s special involves a minted pork snag, onion jam and lightly pickled cucumber, all on a fine, fresh roll. At $15, it’s fine – but we find the sausage a bit dull. We are so used to old-school Italian pork sausages of much more radical texture and flavour! The porchetta number ($15) is significantly better. There’s a heap of flavour from the finely chopped pork, largely due to the fat and some crackling. The meat is handily abetted by a zingy salsa verde. We are a bit bemused by the mustard and “sweet spicy sambal” on the side as they seem largely superfluous. 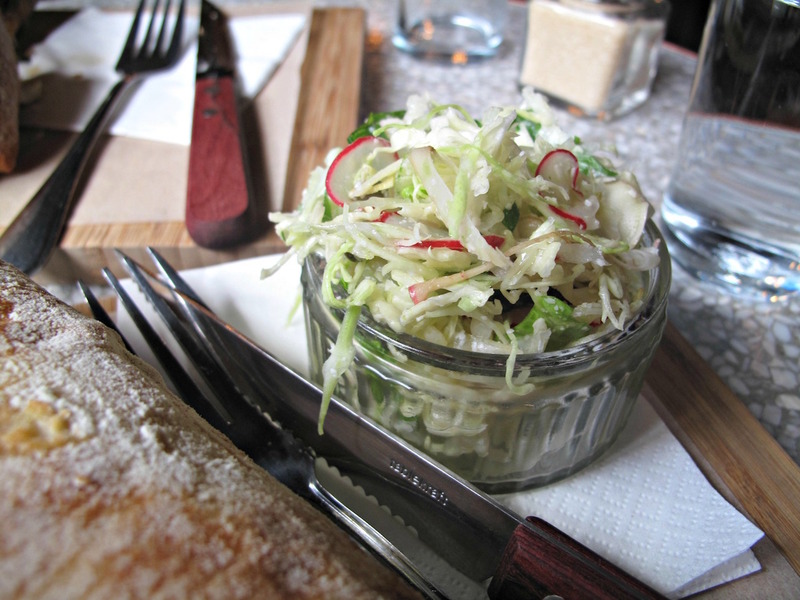 A shared side of coleslaw appears at first blush as if it may be a tad tired and dry, but that proves not to be the case. It’s fine and crunchy, though quite heavy on the capers. The name of the joint doesn’t sound all that inviting …..
Hi Pablo! 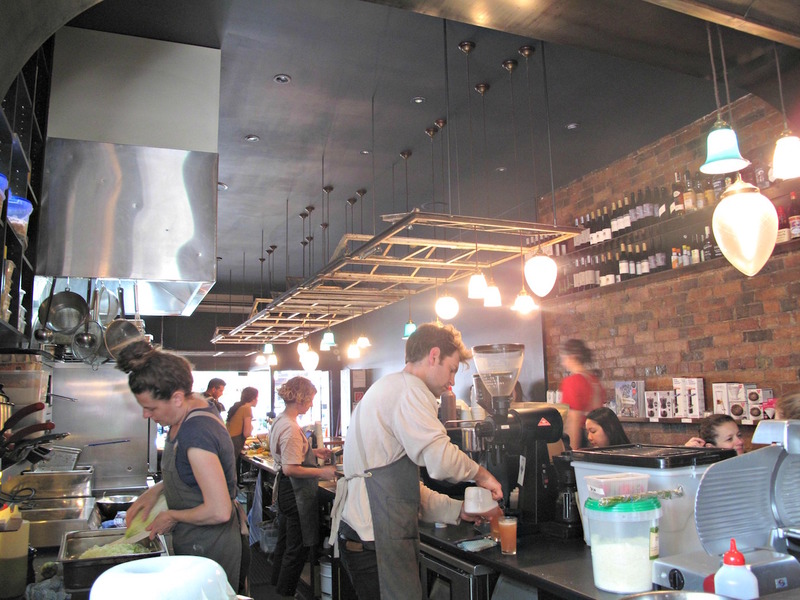 It will to many people – named after a Tom Waits song!